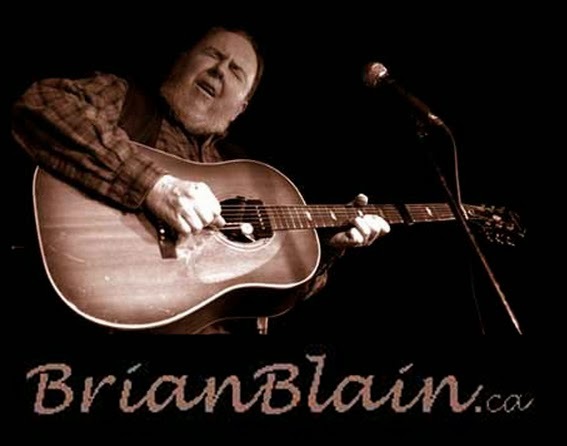 It's a couple of days after Mother's Day, the day I had hoped to make a tradition by having the second "annual" Mother's Day Blues Bash with Colorblind Brian and friends. Is that asking too much? One gig a year!!! Well, it was not to be. There was a nice consolation, though. I travelled through time to the Yellow Door in 1972. Or was it Rose's Cantina. It must have been Rose's, because there at the door of The Tranzac stood Penny Rose herself. Giving out little printed nametags to the stream of Montreal folkies that came through that door. When I walked in, Bill (that Cajun guy) was on stage. He was having a nice exchange with the audience, I found out later that he had forgotten the words to one of the Wade Hemsworth songs he was performing to the old fella himself. Did I mention this event was a CD launch for Wade - The recording was made by Penny Rose who went up to Wade's house with a DAT machine on three or four occasions. But the event was star-studded, in a Montreal folkie kinda way. Next on stage was Ronney Abramson and Bill Garrett, she singing a very old song of hers that I'm sure I remember from back then. She had such a distinctive sound. Ronney is one of the not-too-many (I hope) women whom I have let down in this life. I wonder if she remembers? It's nothing romantic, at all. Ronny was moving to Toronto, or at least driving to Toronto and a trio of us guys were going the same way in a nice reliable Mercedes owned by Gary Howsam. Ronny was driving an old Peter Falk Peugeot and was reassured to know that we would hang together on the 401… Except we didn't. We turned off at Ottawa so Gary could drop in on a girlfriend or something like that. Anyway, I can remember watching Ronney riding off into the sunset, without the benefit of these three musketeers. That's pretty low isn't it? Next on stage was Anne Lederman - who was one of Wade's Toronto connections - she has an organization called Worlds of Music and puts on concerts and workshops. And she sure can play that fiddle. We shared an office at the blues society. She worked with a South African lady - Lizzie. I had only seen Lizzie one time since that office-sharing period. It was the green room at the Bamboo. I was hanging out with Loraine Klassen's back up band and Lizzie was there too. I noticed as she was introduced to Lorraine and they chatted a little. Next thing you know, Lorraine's is into the second set and invites Lizzie to come up on the stage and do a tune with her. They do this complicated call-and-answer (trad) song - dance steps and all, and they've never even met! I guess it was a well known "duet" among South-African musicians. She managed to get real animated, but would reel herself in when she came too close to stealing the show. Anyway they had great harmonies. After that, the stage was filled by Kate & Anna McGarrigle & crew with Danny Greenspoon on guitar and Wade himself. He wasn't playing guitar and the first tune he attempted was a bit challenging. Then they did the "Black Fly" song and the entire room was resonating with singing-along folkies. I guess Wade could have died and gone to heaven. He was conducting the endings, and getting right into it.